QPR’s long-running legal battle over the club’s proposed new training ground is likely to be resolved within weeks – or not until late next year. 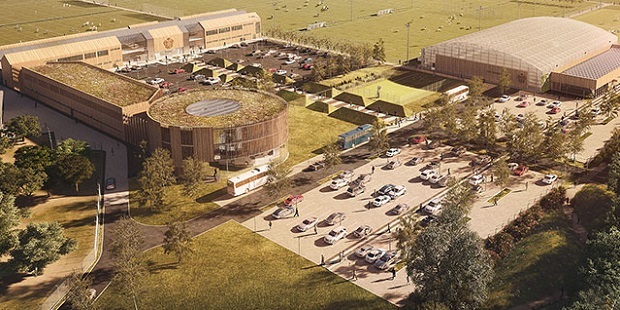 West London Sport revealed in April that objectors to Rangers’ planned training base at Warren Farm would seek to take the case to the Supreme Court. They are challenging a Court of Appeal judicial review which upheld Ealing Council’s initial granting of planning permission for QPR to build a training ground on the Southall site. The next step is a ‘permission to appeal’ application, which is due to shortly be considered by three of the 12 Supreme Court Justices. Their ruling is expected as soon as the end of this month and certainly by the end of November. They will take written submissions from both sides and decide whether there are sufficient grounds to refer the verdict of the judicial review to the Supreme Court. QPR’s current training base, at Harlington, is owned by Imperial College. A decision in QPR’s favour would pave the way for the club to finally begin work on the site. However, if permission for an appeal is granted, it is likely to be around nine months before a Supreme Court hearing takes place, dragging the ongoing saga well into 2019. The battle over Warren Farm: what happens now? To challenge a judicial review and take a case to the Supreme Court there needs to be a ‘permission to appeal’ application. Crucially, it must be shown that a judicial review was in some way flawed and that a Supreme Court appeal is therefore justified. QPR and Ealing Council will argue that it is not. Judicial-review verdicts are very rarely overturned after the Court of Appeal stage, and bringing a legal challenge this far involves significant cost. If permission for an appeal is granted, however, a Supreme Court hearing will be scheduled. On average, it takes around nine months for a hearing to take place. Whereas three of the 12 Supreme Court Justices will consider the permission to appeal, five would usually sit in a full Supreme Court hearing, although it could be seven or as many as nine. This hearing would be open to members of the public to attend. The continuing objections are mainly the interference by certain Brentford fans who bear a pathetic grudge after 50 years and have no real life to be getting on with. (I’m glad Dean Smith has abandoned them). I cant understand the continuing objection/s. The place is rapidly becoming a rundown dump full of dogs mess from unsocial dog owners. Do the residents want it to continue in a downward spiral or turned into something to be proud of?